Original, cleaned .303 Savage cases are $3.00 each. 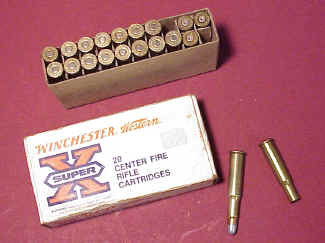 3a) Box of Winchester-Western .303 Savage Silver Tip Express, 190 grain factory ammunition, #3032. Consists of 16 clean rounds and four fired cases. Box is in fine condition but shows wear. This ammo is nearly non-existent today, buy it when you see it. This box is priced at $95.00 ... BUY NOW. 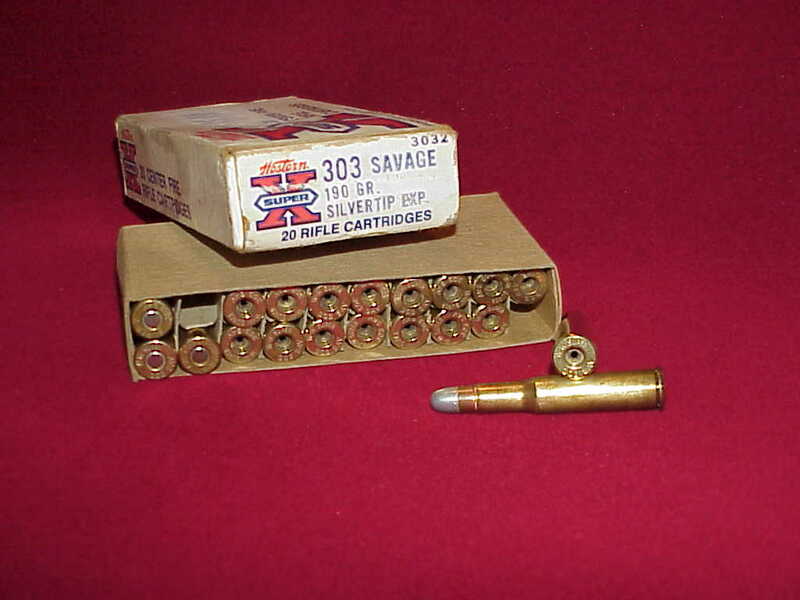 3b) Box of Western .303 Savage Silver Tip Express, clean 190 grain factory ammunition, #3032. Consists of 4 clean rounds and 16 once fired cases. Box is in good condition and shows wear. This ammo is nearly non- existent today, buy it when you see it. This box is priced at $69.00 ... BUY NOW. I have another full box we just got in, nice clean box but most of the cases do have some dark corrosion spots, will probably clean ... priced at $95.00 ... BUY NOW. 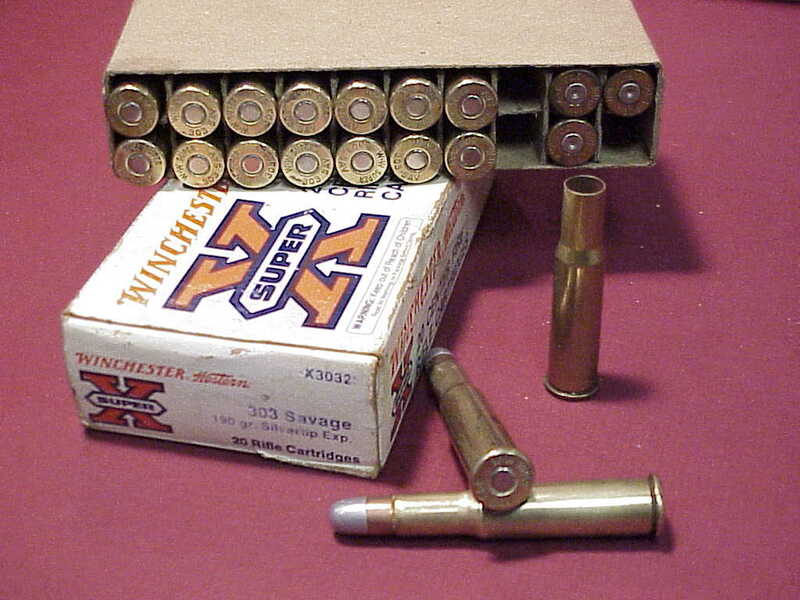 3d) Blue and Yellow box of Western .303 Savage Lubaloy 190 grain factory ammunition but now are once fired cases. Box is in excellent condition but shows some wear. This is a very nice collectable box. There are 16 cases remaining and all have been de-primed and cleaned. No one is currently making the brass for these rounds with .303 head-stamps, these are original. Priced at $56.00 ... BUY NOW. 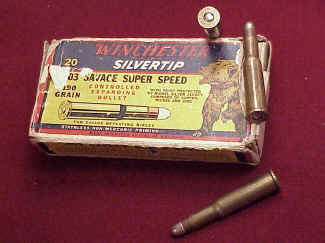 3e) Rare Grizzly box of Winchester .303 Savage Super Speed, Silver Tip, 190 grain factory ammunition. Consists of only three clean rounds. Box is in poor condition and is missing end flaps and has part of grizzly shoulder missing. It is what it is. 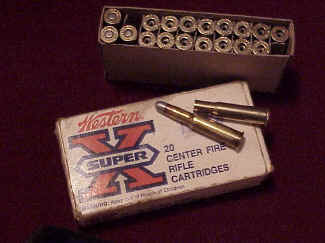 We have this rare box with its' 3 rounds head stamped "Super Speed" priced at $29.00. ... BUY NOW. 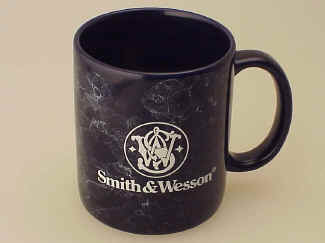 21) Smith & Wesson Coffee Mug, blue marbleized with white logo. Large size, handsome and rugged. Nice gun company collectible. ... BUY NOW ... $15.00. 25) Heike's Hand Protector, for double bbl. shotgun, in dark red color with gold lettering "Feb. 15, 1889, The Chamberlin Cartridge & Target Co." Measures 5 3/4" and is in excellent condition. ... SOLD ... $000.00. 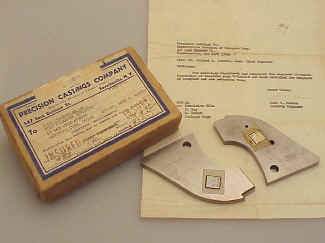 37) Colt Model 1873 SA grip template gauge, T-24469-B, left and right, in original mailing box with certification letter from Precision Castings Company in Fayetteville, New York, sent to Colt Industries, Inc., Hartford, Conn. The kraft box package is insured for $200.00, which was quite a sum in the 1960's, and item is dated 5/13/66. 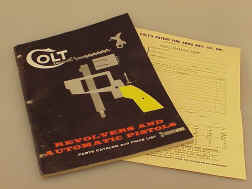 A nice piece of Colt history for 1966 and of Model 1873 Single Action Style Revolver, .22 Scout. Evidently Colt used outside sources to manufacture specific templates for them. We have priced this unusual item at $245.00 ... BUY NOW. 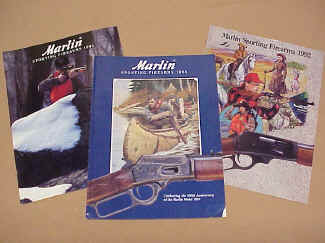 39) Marlin Gun Company Catalogs for the years 1980, 81 and 82 in standard size all in full color and the 1980 and 81 have 32 pages, the 82 has 24 pages of company guns and game recipes. 1980 has been hole punched and has seen some use, 81 and 82 are in exc. condition. BUY NOW all .. $41.00. 48) Unmarked Reloading Tool for cutting 12 gauge paper wads for shot shells in original box. The cutting edge has a small damage but still performs satisfactorily. The box is excellent and the tool measures 2 1/2"... BUY NOW ... $35.00. 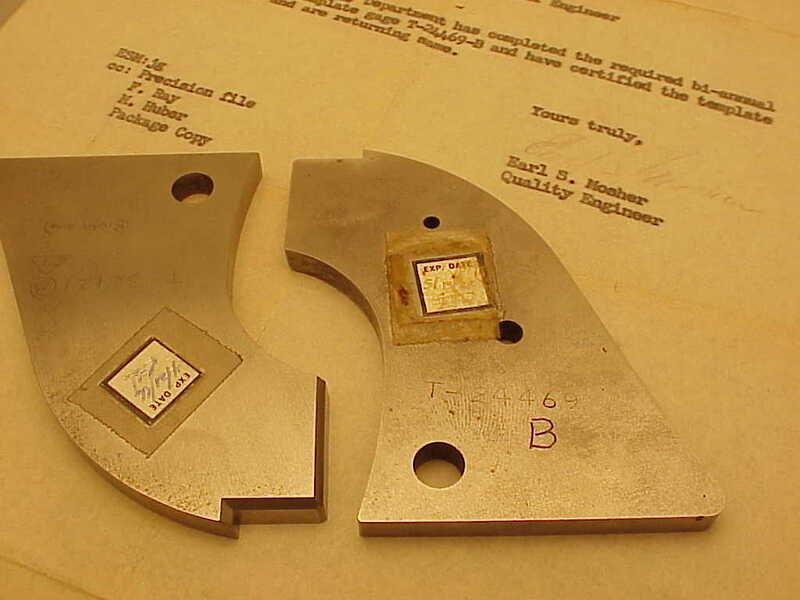 49) Lyman, Successor to Ideal Company Two cavity Bullet Mould. 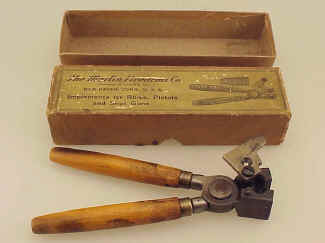 Tool is like new and has wooden handles, complete with instruction sheet and in original black and orange box which measures 8" x 2 3/4" x 1 3/4". Tag on bottom has #311413, 169 grain, .30 caliber double cavity. ... BUY NOW ... $65.00. 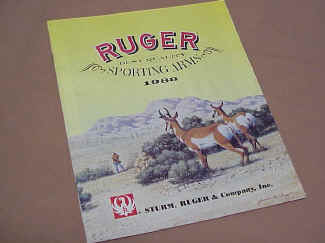 50) Ruger Arms Company full carton of advertising matches. The outer pack measures 7 1/4" x 2" x 1" and is in fine condition showing little use from storage, inner packs are as new. I believe these were from the late 70's. ... BUY NOW ... SOLD. Complete 10 Packs with master pack. 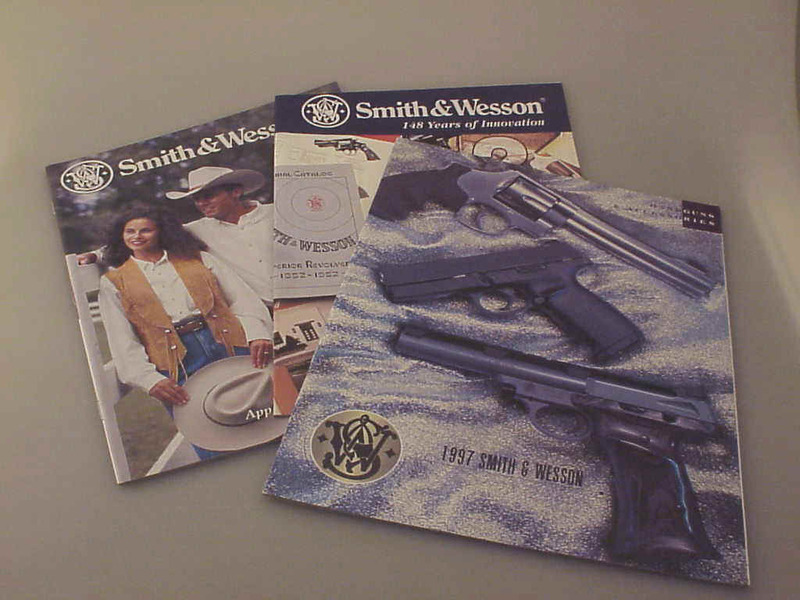 51) Hodgdon Powder Company 1995 product catalog and basic reloaders manual. 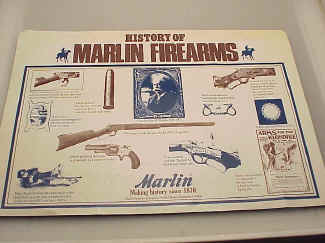 Measures 5 1/2" x 8 1/2" and contains 48 black and white pages of information. Exc. condition ... BUY NOW ... $6.00. 52) Frank A. Hoppe, Inc. 1950 gun cleaning kit in original cardboard box with all paper work. It is amazing to find paper items like this still in tack. I believe this is complete but for the small oil can that is pictured on right side of brochure. There are several scotch tape inside repairs to weak sections but box and contents are in over all excellent condition. There is a lot of Company info in this package on one of the leaders in this field. We have this priced at $95.00 ... BUY NOW. 53) Nice pair of black powder tins and both in excellent condition and each being manufactured in Great Britain. 53a) Meteor Sporting Black Powder one pound tin of FFFG powder, empty. 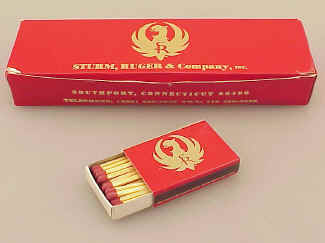 Distributed by C-I-L Ammunition, Inc., Plattsburgh, NY and	made in Great Britain. Can is in excellent condition with original cap, stands 6 1/8" tall. Only defect are two small dimples on back of can. We have this priced at $75.00 ... BUY NOW. 53b) Curtis's and Harvey's FFF Gunpowder one pound can, empty. Made in Great Britain and manufactured by Imperial Chemical Industries, Limited. The can stands 5 1/2" tall and is in excellent condition with the exception of small dimple at rear. We have this priced at $85.00 ... BUY NOW. 54) A fine old Hercules Smokeless Gun Powder tin with paper label. This is a one pound can with a screw cap and marked "Unique" rifle powder. The can measures 5" tall, no weight listed but is one pound size and can is empty. The paper label is in fine condition but has ink marks on reverse. We have this priced at $70.00 ... BUY NOW. Super Balistite M, Powder Tin, Alcan Co.
55) Super Balistite M powder can, made in Italy. Alcan Co., Inc., Alton, Illinois - Sole Agents, USA. The can measures 4 1/2" tall and is in overall excellent condition with its original cap but has some front surface corrosion. The can is full of the original powder and can only be shipped with stringent UPS regulations and may not be cost effective. Full can may be picked up at our store or we can sell the can empty of its contents at our selling price of $65.00 ... BUY NOW. 56) DuPont Superfine Gunpowder one pound tin measuring 5 7/8" tall. Marked Made in USA, Wilmington, Delaware. The tin is in overall fine condition except front appears to be marker marked "FFFG". The can is full of original FFFG black powder which cannot be shipped through common carrier but can be picked up at our store and we have priced this full can at $98.00 or we can empty contents of can and sell at our price of $75.00 ... BUY NOW. Also have several other DuPont Black Powder Cans ... FULL. To Place an Order go to CONTACT US ~ All Prices Reflect a 4% Cash Discount ~ However we do accept all Major Credit Cards. Remember that prices are subject to change without notice. If you have something to offer for sale please price it in your first e-mail. If you want information or an appraisal on your item we have a small $35.00 fee. Stop in and visit at our Mechanicville, NY store location or ask us to bring a particular item to one of our Arms Fairs. 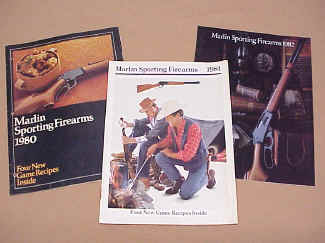 See Gun Shows.